Are you thinking about connecting with one of our fantastic Volkswagen Atlas leases in Springfield, Ohio? While we love helping customers get on board with a great auto lease at Volkswagen of Springfield, we also love making certain a car lease is the best option for your goals and your lifestyle. If you want the opportunity to trade in your car every couple of years for a newer model, and if you like the sound of a lower down payment and lower monthly auto payments, a car lease is probably you’re looking for. If, on the other hand, you're interested in owning your own vehicle and having the freedom to put as much mileage on it as you want over the course of a year, an auto lease isn’t in your best interest. Car leases tend to favor those who driver fewer than 12K miles annually, as well as those who don’t put more than a regular amount of wear and tear on their vehicles. At Volkswagen of Springfield, you’ll discover some of the best options for leasing a new Volkswagen Atlas SUV in Springfield, OH. Why choose the Volkswagen Atlas SUV as your new driving companion? 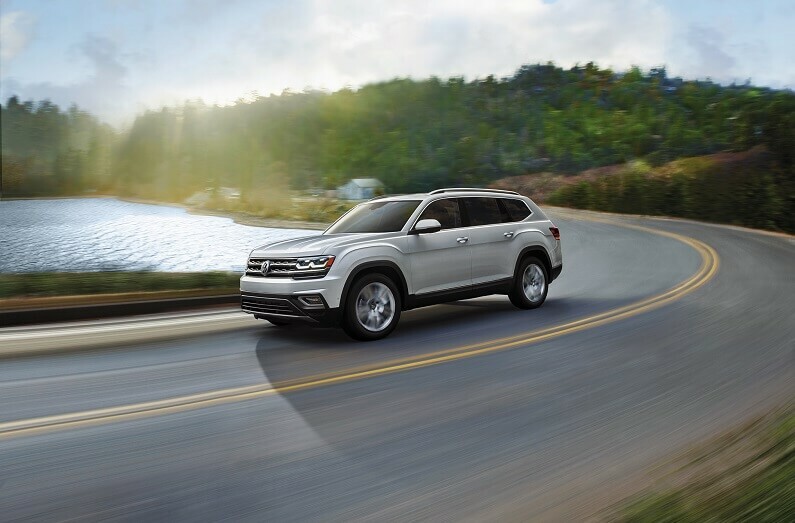 As a luxurious and competent midsize SUV that’s designed to excel in everything from daily commutes to family road trips, the Volkswagen Atlas SUV lets you and your loved ones navigate the days ahead with style and ease. Comfortable, spacious, and always forward-thinking, the Volkswagen Atlas SUV is the perfect match for drivers who value the style and intuition of the wheel they get behind every day. While a car lease isn’t for everyone, you’ll find a variety of other excellent options for buying a car at Volkswagen of Springfield. When you pair up with the car financing specialists in our finance department, you’ll encounter opportunities for getting a premium trade in value on your current vehicle, competitive auto loan rates, and customizable Volkswagen financing solutions that work with your credit, not against it. Want to learn more about our quality car loans or our amazing Volkswagen Atlas leases in Springfield, OH? Give our finance department a call now.